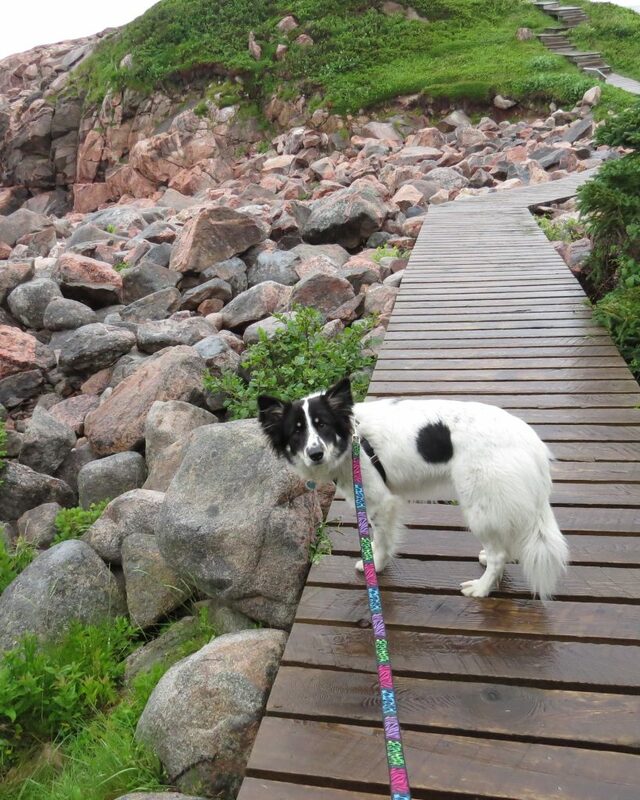 I took a few vacation days this week to go to Cape Breton to meet my brand new nephew, George, and also do some hiking with my dog, Macy, which I call birding. I also did a few store visits of course since I was there but I digress. Birding actually goes quite well with the dog on leash unless there are squirrels for her to chase. One thing I realized during this trip that I think is interesting is that once you start running out of birds to “tick off your list” as lifers or species for your province, etc. you start to photograph butterflies, plants, etc. I’ve known for a while that many long time birders do this and now that I have the urge to do so I understand better why as my “Nova Scotianers” are stacking up. By the end of this Fall migration I think I’m going to hit a plateau that will make it difficult to find new birds afterwards. And so I will include a few photographs of different flying things from here forward. And liberal photos of my fine companion, Macy, of course. Somehow I’ve never really seen a Piping Plover (well maybe somewhere as a kid) and so I stopped at a known location in Pictou County to see some. It was a learning experience for me as I didn’t realize how skittish they are of humans and after a very long time watching for them I texted my friend Keith for advice and he said it you are standing close to the signs back up because you are too close. As soon as I did they ran out onto the beach and I managed to see three of them. 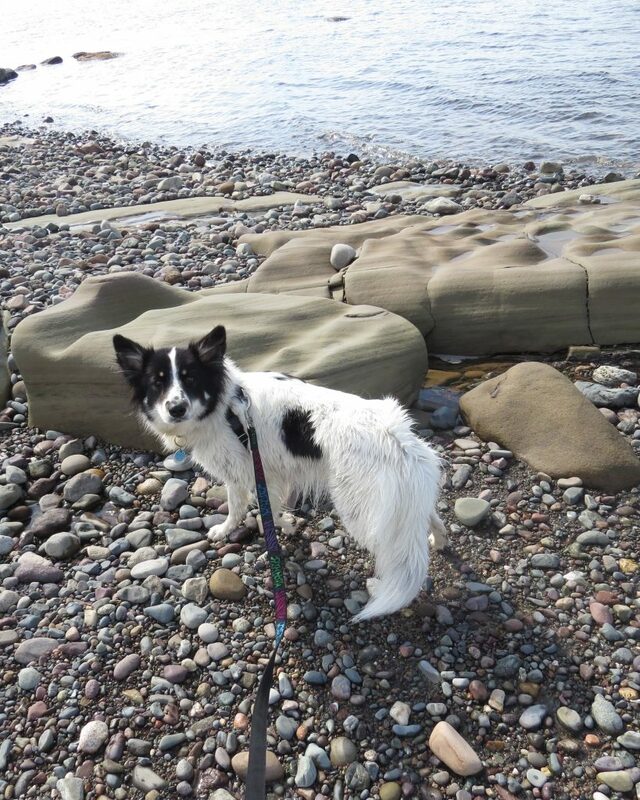 The photos are virtually impossible as a result but I did get a nice shot of my four legged-friend. One of my target bird for this trip were Mourning Warblers so I made a quick stop at a known location in Marshy Hope but it turned up empty. 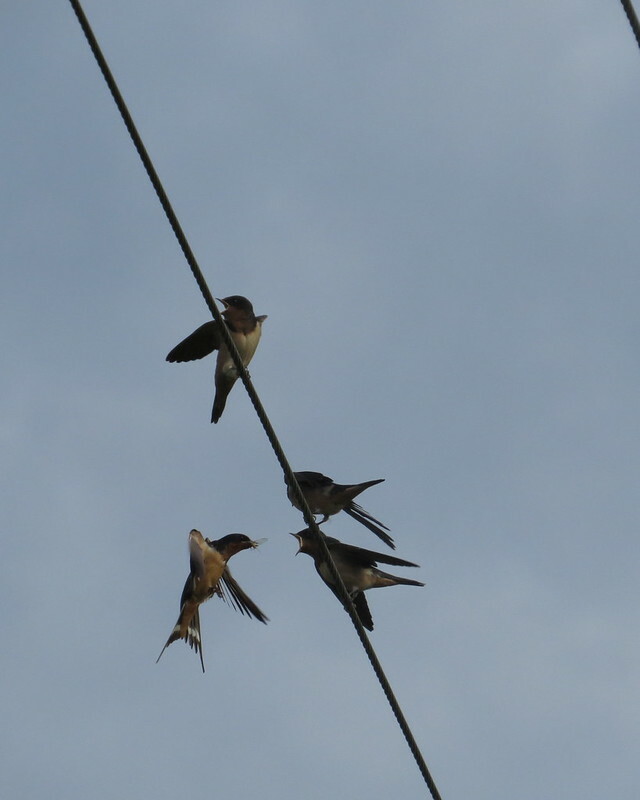 However, I got a lovely show from some young Barn Swallows begging their parents for food. And a few other of the usual suspects made nice appearances. Overall on this trip I didn’t see rare or unusual birds or a lot new to me, but some nice first looks at juveniles and generally awesome sightings of birds just being birds in wonderful natural habitat and a great sighting of a family of four fox in the early morning. 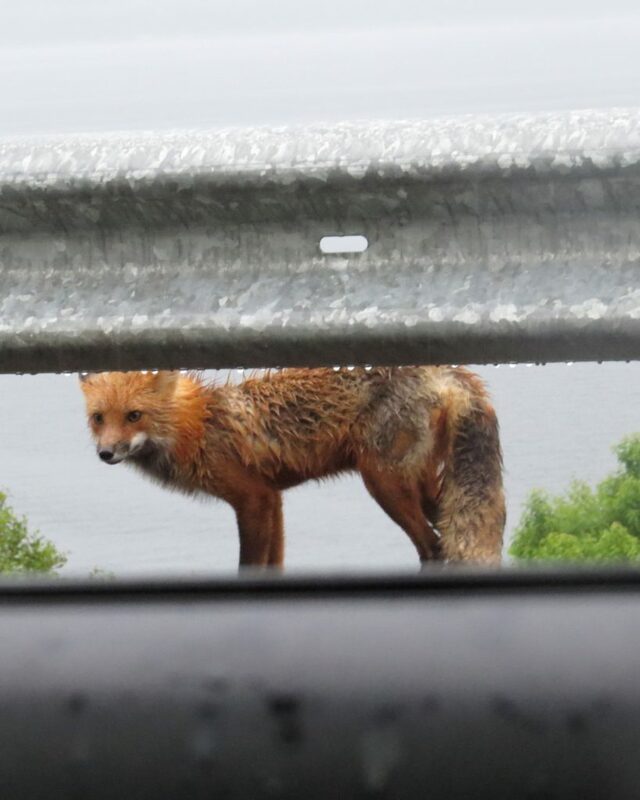 Most of this was observed on my day in the Cape Breton Highlands. I arrived in Ingonish at 7am Wednesday morning and the rain stopped just as I got there. 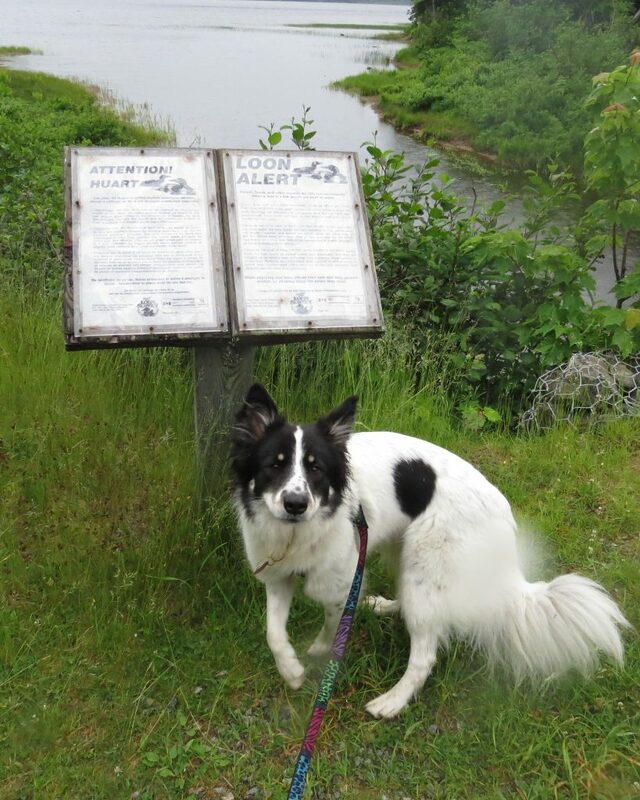 Macy and I had a short walk up the Warren Lake Trail and turned around when I heard something making a noise like a horse snuffing which I figured may be a moose. I’m not afraid of wildlife but Macy is probably going to be terrible in a situation that involves wildlife as she chases things and barks so better safe then sorry I figure. 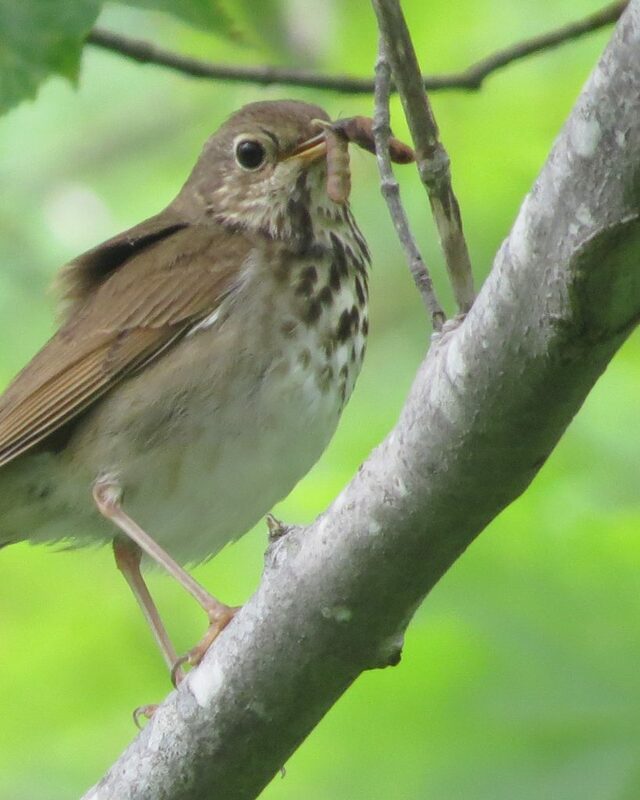 Perhaps someday I can leave her home and go birding with friends in the Highlands as there are some birds up there you don’t see elsewhere in Nova Scotia, namely the Bicknell’s Thrush. 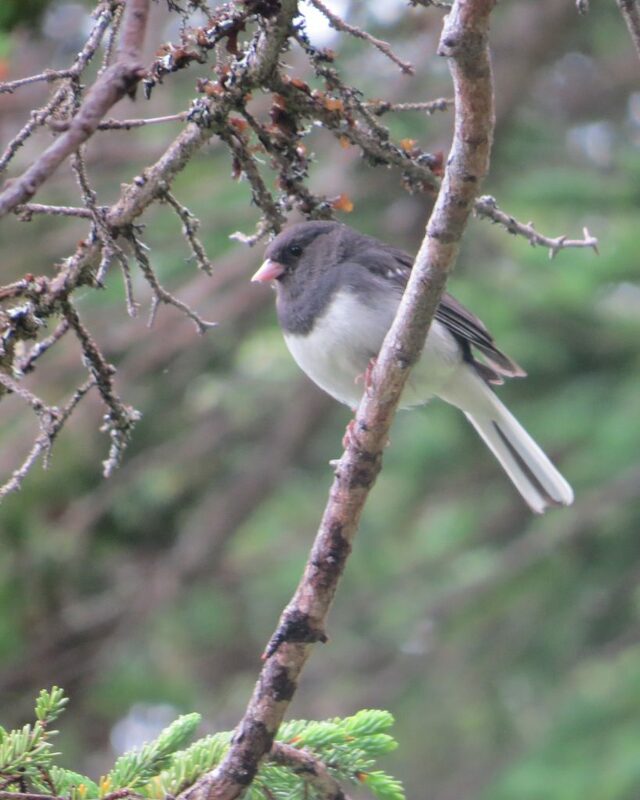 Dark-eyed Juncos are eternally cute don’t you think? As we were just driving out of the parking lot from Warren Lake a little family of Ruffed Grouse were feeding and they definitely won the cute award for the trip. Anyway, after that we meandered up the coast toward Cape North where I had another spot to check for Mourning Warblers (nope) and also to have a little hike on the Pacquette Lake Loop (part of the Glasgow Lakes Lookoff Trail) to see if I could find any Bicknell’s. These are really scarce birds who do breed in the highlands but only in a few locations and I don’t think this is one of them. But you never know when they might right? 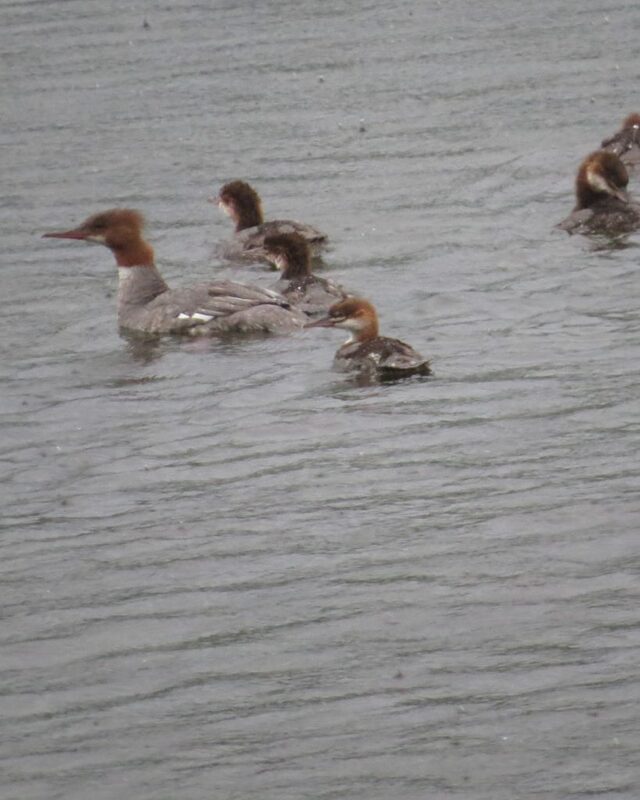 These birds are best identified by voice and I didn’t hear a one in the hour or so I was up there. 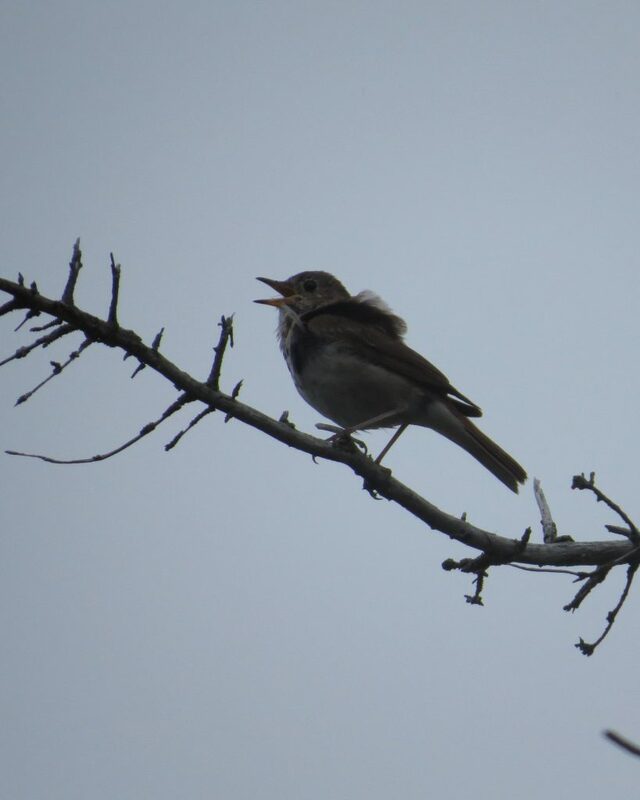 I did hear a number of Hermit Thrush on the drive in, which is the birdiest part of this area I think. 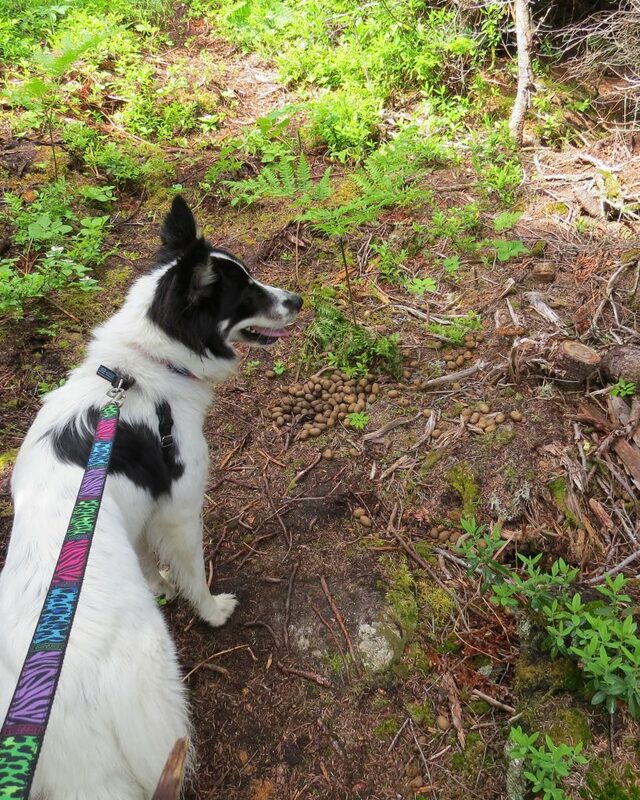 Once we reached the highest elevation of this loop we encountered a lot of fresh Moose poop all concentrated in one stretch of the trail and since the path was narrow as it was freshly cut I decided I didn’t so much want to be caught off guard with my dog so we turned around. I was pretty disappointed as I figured the higher spot would be better (although when they are talking about elevation I expect they don’t mean a few feet like this) and to add insult to injury I lost my footing when the dog pulled forward at one point and landed flat on my face, knocked my glasses off, and dropped the dog leash. Ungood. But she stayed close to make sure I was okay so I got up slowly to make sure none of me was out of place and when I looked up a Thrush was in a branch right in front of me carrying a bug. 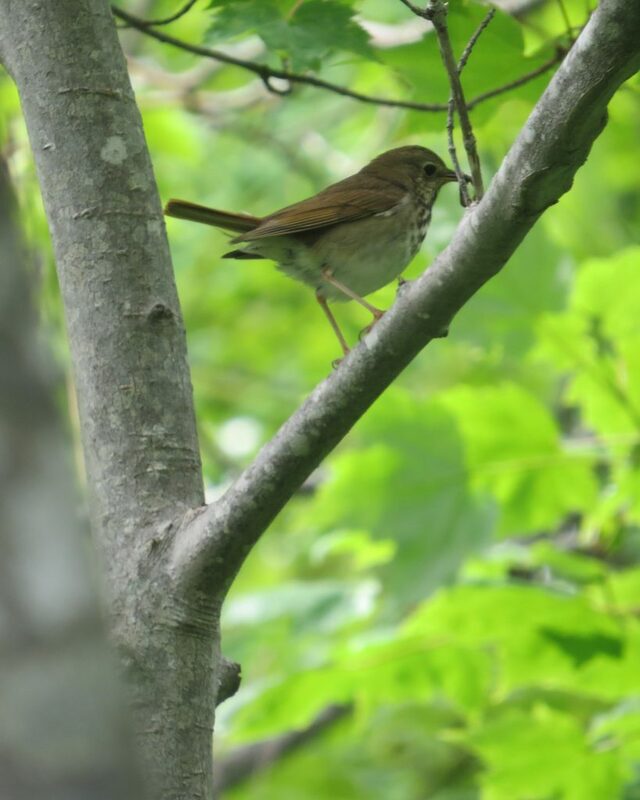 Naturally I thought this was the universe delivering a Bicknell’s sighting but upon close examination I really think this is just a Hermit Thrush. It really could have been a better story eh? We stopped at a few other spots just to be tourists for the day and poke around different types of habitat quickly to get a feel for what might live where. I did look for Shearwaters in a number of spots but didn’t see any but see they have been spotted by someone else this week. Maybe next time. Overall a lovely day and my first time exploring the area. Usually I just drive through with friends to see the fall foliage, or as a kid we camped at Broad Cove and did day trips to Warren Lake to swim. Can’t wait to spend some more time birding at some point down the road. The next morning David McCorquodale took me birding in Loch Lomond to help me find some Mourning Warblers. I realized as we arrived that I left my camera battery back at the house so of course we got a lovely show from a male Mourning Warbler, and also heard 4 more singing. I was disappointed not to get the photo as the bird was in plain view but it was still amazing to see him and when he flew it was nice to watch him as well as the black head really stands out. great capture of a handsome Mourning Warbler by David McCorquodale – well deserved sir! 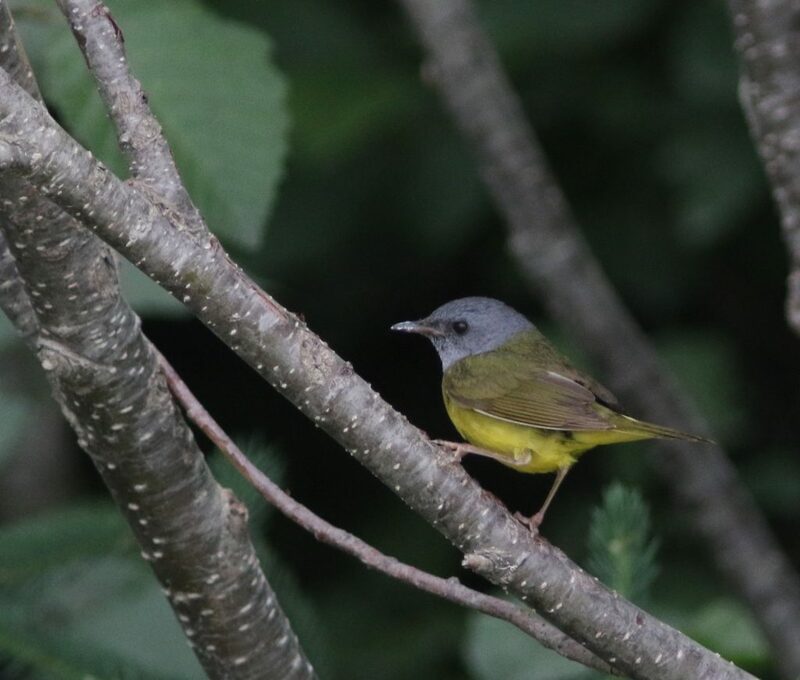 great capture of a handsome Mourning Warbler by David McCorquodale – well deserved sir! Now that I know how to find them someday I’ll get another chance and it’s always great to learn something new and bird with good folk. 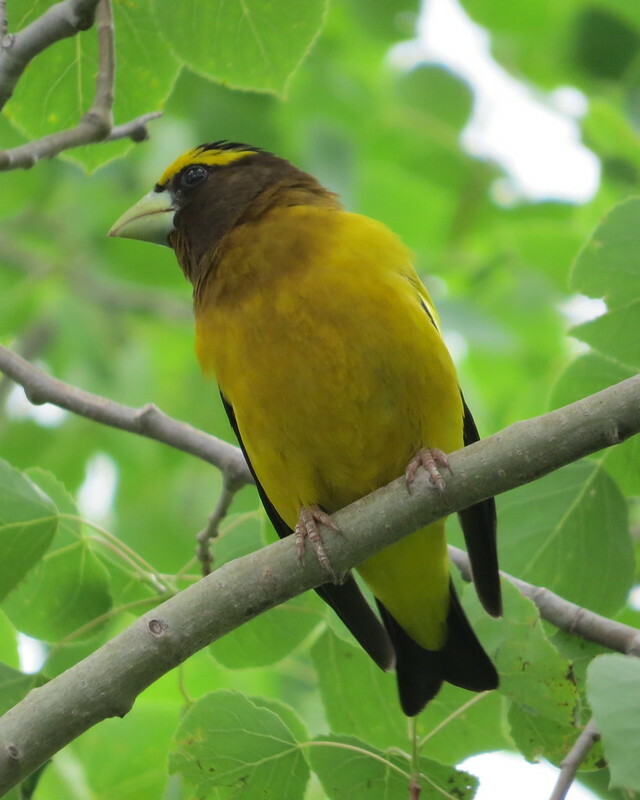 On my drive back to Halifax I didn’t really have time for birding and it was also kind of rainy but I did make a 10-minute stop in Marshy Hope and was immediately greeted (more like under siege as one flew right under my car) by a family of Evening Grosbeaks which are always a treat to see in Nova Scotia. I’m quite satisfied with how things turned out, and look forward to shorebird season which will be ramping up any day now.